Windows 8 combines two existing technologies, logon and the Windows Live ID service, the result is a Microsoft account for users to 'Sign in' to their machine. If you have already used Microsoft's SkyDrive, or other internet storage, then you will appreciate the underlying principle of the free Windows Live ID account. In practical terms, this user account for logon is the corresponding email address, and the password is the one associated with this Windows Live ID. Logging on with a Microsoft Account is subtly different from logging on with either a traditional local account, or a domain UPN email address. The biggest benefits a Microsoft account (Live ID) accrue when you travel. As you roam to other machines, so the Windows Live service transfers your application and even website credentials. 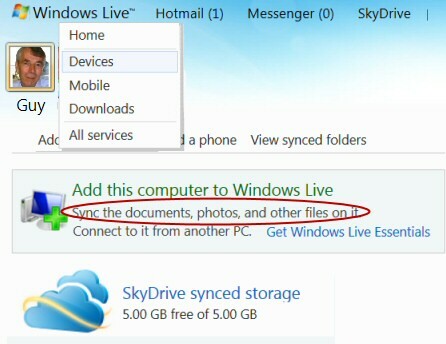 Furthermore, you can select which items you wish to sync with your Windows 8 Live ID account, for example: themes, language preferences and also your web browser settings. Talking of browsers, as you peruse the Apps store or sites that require a password, if you have a Live ID / Microsoft Account then it’s the quickest and easiest way of supplying your credentials. I use the term ‘easy to use’ sparingly, and am ultra-critical of any software that falsely claims to be ‘easy to install’. My conclusion regarding Windows Live ID is that it’s straightforward and transparent to the user; sign up at www.live.com then use that password when you logon to Windows 8. The only problem with getting a Windows Live ID account is laziness, intellectual objection or security fear. Technically, signing up is straightforward; and what could be better than having the choice of using an existing email account, or getting a new account especially for Windows 8 Logons? If you have already signed up for Windows Live ID, then Windows 8 suggests you use that account as a ‘Microsoft Account’ rather than create, or use a local login account. The one concept that I have underplayed is ‘service’. Remember that Windows 8 Live ID is a Microsoft internet service. That means not only a satisfactory degree of security, but also support for forgotten passwords or even procedures for compromised accounts. A huge user base for Windows Live ID means that someone has solved your problem before and published it in the forum, or Microsoft has posted it as a FAQ. Live ID now known as a Microsoft Account. 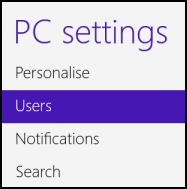 The modern Windows 8 method is to call for PC Settings with WinKey +i and Change PC Settings is at the bottom of the screen. However, you can still navigate via the User Settings in the Control Panel, but this is much more long winded. 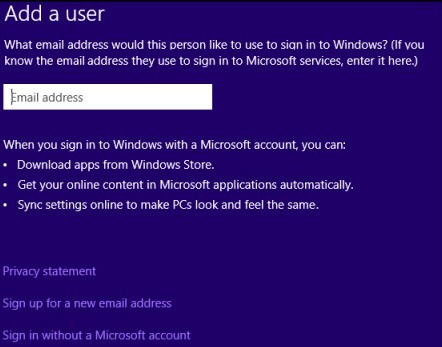 When you choose the user either type the Live ID email address in the box, or else scroll down and select: 'Sign in without a Microsoft account', and then Local account. For children you can select Family Safety, which enables you to monitor their usage. There is also my personal favourite techique AutoAdminLogon, the benefit to me is that it side-steps logon altogether. This is completely insecure and I only use it rooms that are physically secure. A smart cards with its PIN offers a portable way to logon to a domain. These physical devices also provide client authentication for code signing, and securing e-mail. The key to this technology is authentication with certificates, hence the need for a domain controller, and this is the reason why there is no interface to configure PINs on stand-alone Windows 8 machines. The Windows 8 nuts and bolts is that the Smart Card Service (scardsvr) runs only when the user connects a smart card reader to the USB port. Alternatively, they could use the increasingly popular virtual smart card, which utilises the onboard Trusted Platform Module (TPM) chip incorporate in most modern PCs As for the card, it contains the user's private key, which for security cannot be exported. You may have experienced at first hand how such PIN systems lock after 3 incorrect guesses. VSC don't have the cost of the physical card. However, they offer less security because the underlying TPM chip is always in the machine; the user does not have the option to remove the physical smart card, and thus stop people being able to guess the PIN of an anattended laptop. Isolated cryptography: The key point is that unencrypted copies of private keys are loaded only within the TPM, and never into the Windows 8 operating system. Anti-hammering: Should a thief guess the PIN incorrectly, the virtual smart card employs logic of the TPM to lockout the card for a period of time. 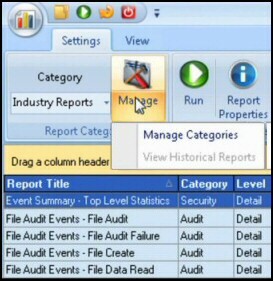 You have two logon choices: Windows Live ID, also known as the Microsoft Account, or Local Account. Remember that Windows Live ID is service, and while it’s free it has the full support services from Microsoft not to mention a thriving on-line community.